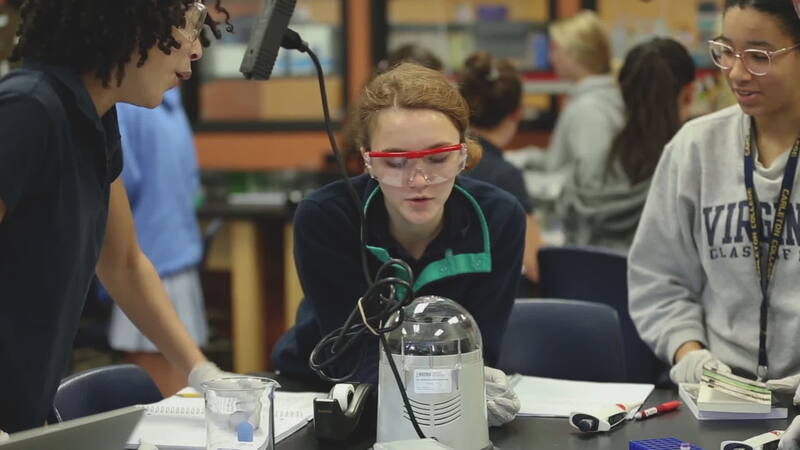 Intellectually engaging, collaborative and interdisciplinary, a Castilleja 6th through 12th grade education is carefully scaffolded to allow each student the opportunity to become her best and most authentic self. Castilleja's unique leadership development program is woven seamlessly throughout the daily lives of students in and out of the classroom. By engaging in a variety of hands-on making, tinkering, and engineering projects, students hone core competencies that empower them as innovators.